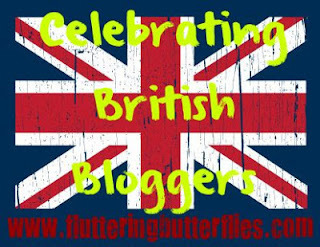 Today will be my final ever Celebrating British Bloggers interview! I've had fun with this feature and would like to thank everyone for your support during its run - either by taking part, reading or commenting. I really appreciate it. And thank you to Julianne for being my final interviewee! I've been lucky enough to meet Julianne and she's just as awesome in person as she is on her blog and on Twitter. If you don't already follow her, I urge you to do so now. Her blog is filled with great reviews and fun things. 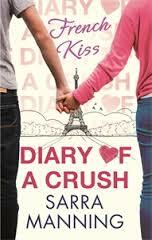 Her recent Diary of a Crush week really made me smile! I live in London, where I was born, brought up, and studied. I'm an aspiring novelist with an MA in Creative and Life Writing. I've been blogging off and on at this fleeting dream for over five years now, but some years have been a lot more prolific than others! The name comes from one of my favourite books about writing, which says that when you write dramatic fiction, you are aiming to induce 'the fictive dream'. It's quite pretentious, I know, but I wanted something that matched the name of my other blog, and it seemed like all the good book puns were taken! At this fleeting dream I aim to mix thoughtful reviews with fun discussions and to celebrate the books I love as much as possible! I mostly read and review contemporary YA but I don't shy away from fantasy, sci-fi, classics, or literature intended for adults. How did you begin being a book blogger? When you're not reading or blogging, what do you do with yourself? I started blogging almost six years ago, with my clothes/craft/make-up blog, this second's obsession. 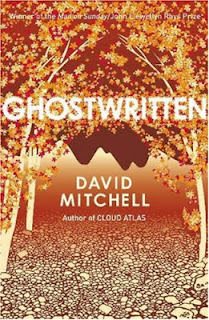 For a couple of years, I wrote book reviews for a paid review site, but after I discovered the world of book blogs, it occured to me that I could also post my reviews on my own blog. At that point, this fleeting dream was mostly a writing blog with a couple of book reviews in the mix, so I deleted all the bad poetry and started reposting the reviews I'd already written. Eventually, I decided to stop posting my reviews on the review site and concentrate on the blog instead, so that I would have time to write discussion posts and get more involved in the book blogging community. When I'm not reading or blogging, I'm either working on a novel or short story, at my part-time job, cooking or eating (I really love food), at some kind of cultural event (I also love museums, theatre, and music), playing board games with friends or watching one of the few television shows that I love. Whew! Oh, I also play the piano and knit. My review of The Boyfriend List, by E. Lockhart, mostly because I put it off for ages and absolutely agonised over what to write. In the end I decided to make it a list and be done with it and was surprised when it actually came out quite well. I don't think I've had one 'best experience' but there have been so many good moments! I get a little thrill every time I'm invited to an event or receive a review copy, but I also get really excited every time someone tweets a link to one of my post or leaves a comment! Jeane from Adorkable. My number of twitter followers would probably octuple overnight. I'm sure she knows all the best places to shop and gigs to go to, and I hate Haribo (except for the cola bottles) so we'd never fight over sweets. We have completely different body shapes, so wouldn't fight over clothes either. We would constantly send each other links to videos of dogs doing cute things. It would be amazing. Oh how do I only choose five?! 2. Jo, from Once Upon a Bookcase - probably the first book blog I read, back when I was researching YA for my MA. Her theme months and weeks are excellent and when she loves a book, I can really see her enthusiasm in her reviews. 3. 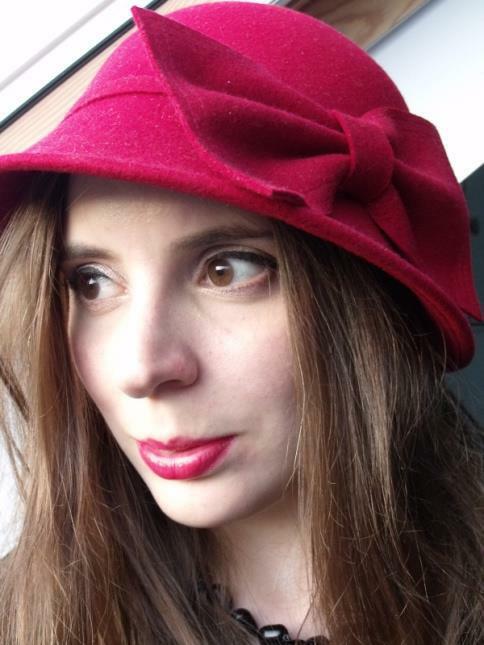 Jo, from weartheoldcoat - insightful and funny discussion posts, and reviews that always get me wanting to read more. 4. Sister Spooky - she's just so enthusiastic, it's infectious! 5. Booka Uhu - in the interests of full disclosure, I know Booka Uhu offline, but I would recommend their blog anyway as they've written a lot of good stuff in a short space of time. The blog features reviews children's books for all ages, including picture books, which I think is great as there aren't that many blogs that review books for younger kids. 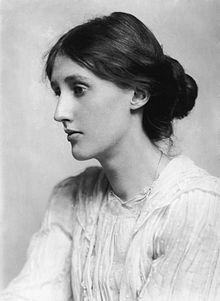 After much thought, I have decided that I would love to meet Virginia Woolf. I think she was a genius. Her fiction can be difficult but I think her essays are lovely, really clever and well crafted. We'd talk about writing - I'd ask her to give me a massive reading list - and I'd love to find out what it was like to be part of the Bloomsbury Group and what she'd think of the world the way it is now. I would like to see more books that don't end with the protagonist happily coupled up. More happy single ladies, please! I love a good romance but few people meet their life partner at school. I would also like to see more UKYA books with diverse characters and settings, and more references to the internet. Sites like Facebook and tumblr are a massive part of many real teens' lives, and it would be interesting to read more books that deal with this. Dylan from (appropriately) Diary of a Crush, will always be my ultimate book boyfriend. Even if he seems a lot less charismatic and a lot more awkward in my latest re-reading of the books. Even if Noel from the Ruby Oliver books gave him a bit of a run for his money. Even if I would never put up with such a moody and secretive guy in real life. Oh, Dylan. Thank you so much for those brilliant answers, Julianne! I love Dylan too. And oh man, would I like to see more happy singletons in YA too! What do you think? Do you fancy Dylan? Would you make the bestest of best friends to Jeane from Adorkable? Would you like to see more diversity in YA or more happy singletons? Let Julianne and I know in comments! I was sad to hear that this is your last ever Celebrating British Bloggers feature because I've really enjoyed reading these interviews and I've heard of so many wonderful blogs from them. Thanks for running this feature, Clover, and a lovely last interview! Hi Clover, Apologies that this is the first time I've stopped by. Such a fun blog with lots of interesting and informative posts, I've enjoyed my visit. Totally agreed with the happy single characters! Romance is (for some people) actually impossible to navigate, but they aren't any worse off for it. And diversity in YA is always good. As for this being the last one of this feature, that's a shame, but thank you for running it! I've found lots of blogs and learnt things about some of my friends. Thanks! 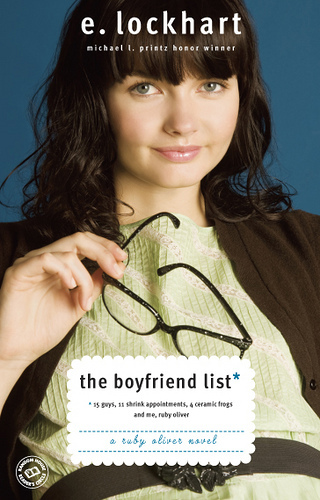 I couldn't agree more with your suggestion to have fewer coupled up characters in YA! Since I wrote that I've been thinking a lot about my own writing, and whether I have too many couples, it's been feeding my imagination no end! Oh, Dylan. There is officially no one who doesn't worship that boy!